Monthly Tour of the History of South Australia's First Settlers. Get ready for an afternoon of family fun! A talk by various panelists on heatwaves! Fundamentals of Garden Design, held on Thursday 7 February 2019 from 5. It's gonna be a hot summers weekend. Authentic Tet Celebrations in Regency Park! Inspired by a passion for short film. Time to warm up those singing voices! You may find your ideal beloved pet at this adoption day with the family! You've no doubt heard of the Colour Run and mud runs but something new and different is heading to Adelaide in February 2019. 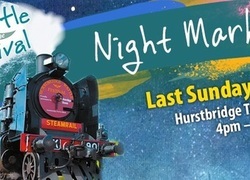 Free night out under the stars!